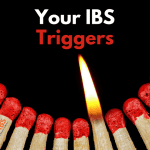 Do you feel that your IBS symptoms don’t make sense? It’s a common problem. One day you will be relatively fine, and the next you will have a flare-up for no apparent reason. And this is particularly frustrating if you are doing your very best to avoid these flare-ups and lead a ‘normal’ life. 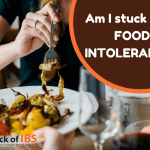 A few weeks ago I talked about 3 common IBS mistakes you can avoid. Concentrating solely on IBS symptoms rather than the causes is one of these. IBS busting is like being in a detective movie. You have the crime (the pain) and all you have to go on are your symptoms scattered around or hidden in odd places as clues. But it’s not as easy as Cluedo, where you can proceed logically to find the culprit. IBS is much more complex and elusive. As hard as you try symptoms just don’t make sense. Have you ever had the situation where you think you might be on to something, and then a flare-up starts up and you go back to square one? If you can’t really see any pattern to speak of, this stops you moving forward. So you have no option but to go back to taking meds and trying to “manage symptoms”. 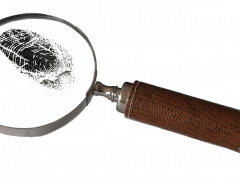 Do you ever get the impression that there are keys to your IBS symptoms that you are just not seeing? Behind your IBS symptoms are triggers. These triggers are the invisible buttons that get pushed and start the reactions in your body. These may be food triggers, or other triggers you had not thought about. As we all have digestive problems of one sort or another this seems like a logical place to start. And most IBS sufferers do have, or develop, some sort of food triggers or food intolerance. Being careful about gut health and eating nourishing food are important. They are important to everyone on this planet – even those people who do not seem to have any digestive problems at all. Good quality food is one of the major building blocks to growing up to be healthy and strong – and staying that way. However I have found that this is only part of the story where IBS triggers are concerned. And what makes things really complex is that new triggers can add to the old ones over time, making the picture even harder to understand. If your IBS symptoms don’t make sense, the most useful place you can look for clues is when your IBS started. Not just the day it started, but also the few months prior to that. What was going on in your life back then? Maybe there was a particular event that was painful or that you found difficult? Or maybe you were in a situation that lasted over several months. Did you start a new job? Did you move? Did you split up with your partner? Maybe there were several things going on at the same time. Don’t underestimate the clues that come to mind. They say a great deal about you & your IBS. If you just can’t fathom them out, why not work with me?